Dust-X provides targeted support for horses in dusty stables. This soothing blend offers specific help with respiratory worries associated with dust and encourages the airways to stay open and comfortable. Dust-X is highly palatable and can be used all year round for ongoing support. Suitable for all horses and ponies. Introduce gradually, then feed 1 x 25ml twice daily for an average 500kg horse. Reduce to half this amount for maintenance levels. Dust-X can be fed throughout the year. 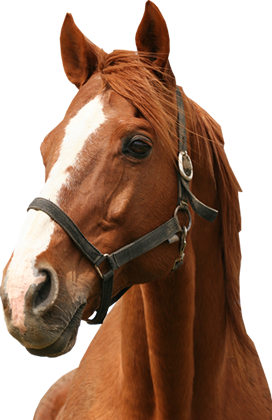 "I have been a customer of Global Herbs for many years sporadically, however, for the last 6 months I have used the product Dust-X for my 21 year old mare. This nutritional product has significantly helped my horse's lifestyle and way of going. We have received excellent customer service from your team and now need mobility help and are starting to use Alphabute." Lindsey has used Dust-X on her 22 year old retired mare, Willow and said: "Dust-X is fantastic!" "Dust X nutrition has helped Legend tremendously. Thanks so much." Mrs Fawcett uses Dust-X for Smudge in the winter - the vet couldn't believe how good his lungs were.